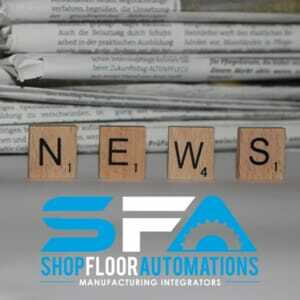 Shop Floor Automations encourages you to take a peek at past newsletters we have sent out to customers as early as 2010 (newsletter archiving project currently in progress). You may be surprised at the solutions or stories we provide! Scroll down for our newsletter archive. You can also call us at (877) 611-5825 to ask about our solutions for your shop floor. Special Edition: Want to keep your aerospace customers? Look for SFA on social media. Also, contact our Sales Team via (877) 611-5825. Our newsletters date back to 2010 and are full of information that can prove valuable to your manufacturing shop floor operations.